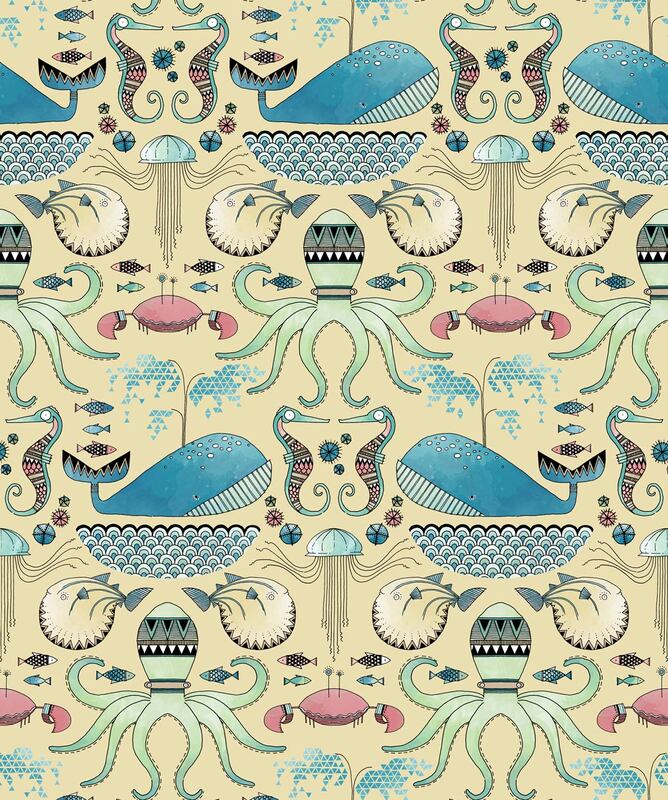 This pattern is a collection of creatures from under the sea, created as part of a set of patterns. 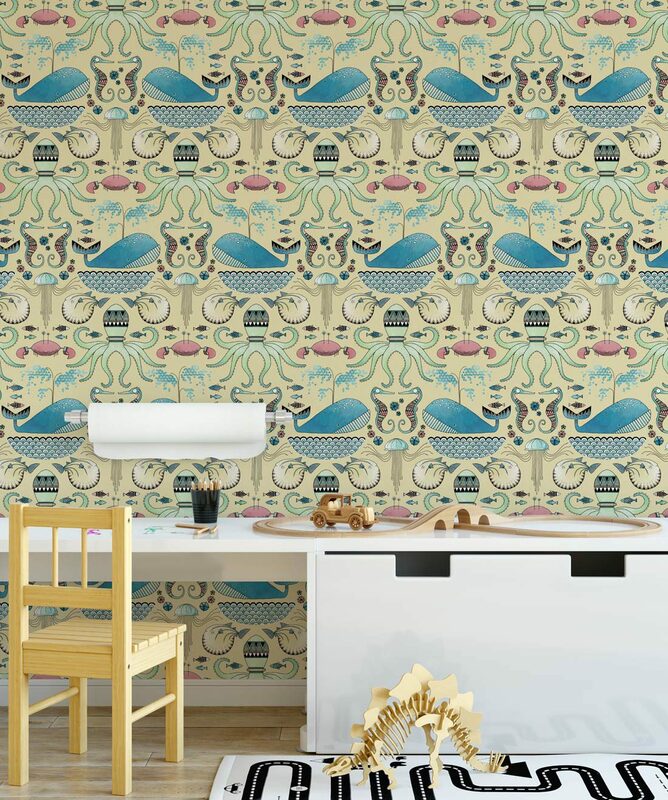 No scaly or slimy creatures here – these brightly patterned dudes are fancy free – enjoying a sea change. The pattern uses a coherent style, drawing on folk art patterning and graphic techniques across the character groups. 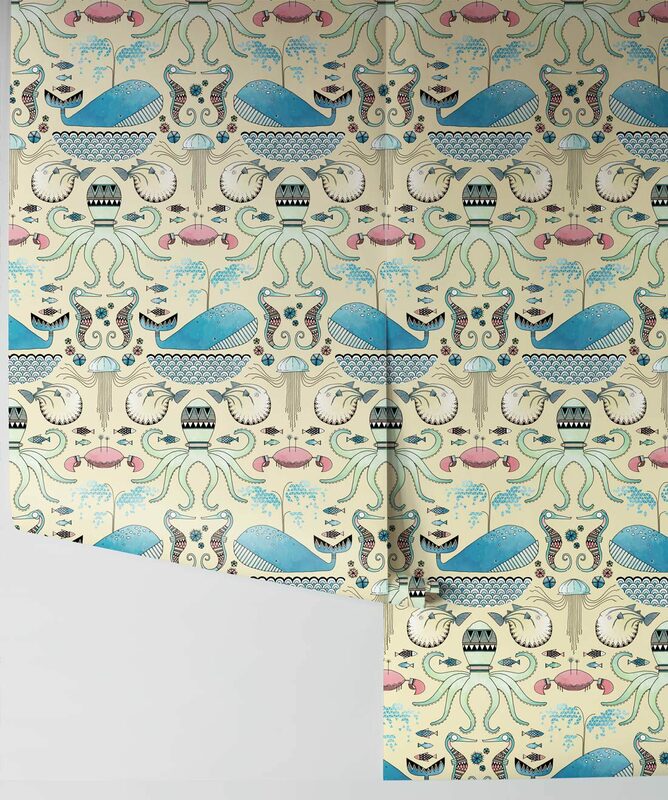 The stylised nature of each hand drawn character allows it to fit its specific placement in the digitally composed pattern.